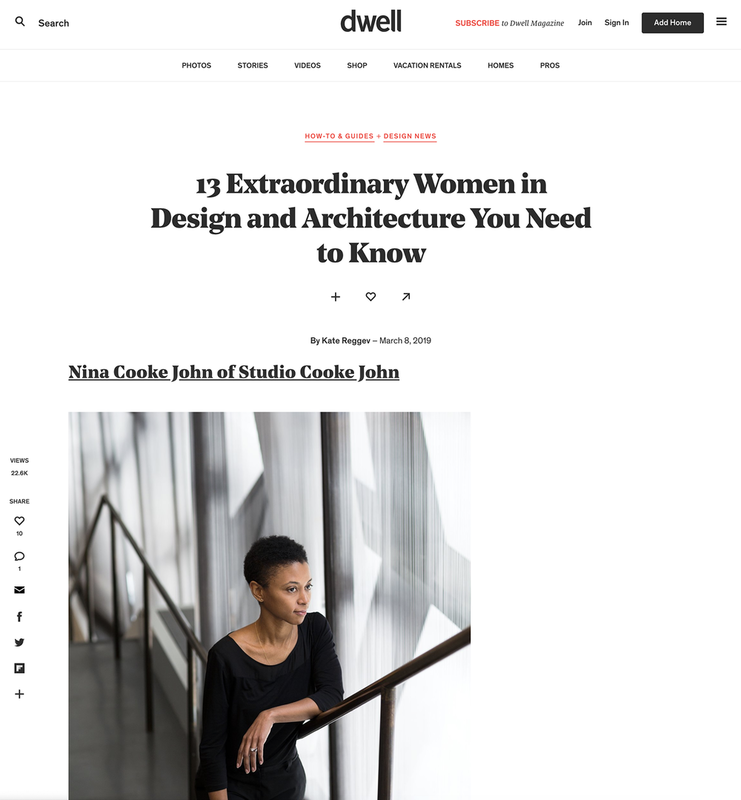 Nina Cooke John’s work is featured in the Center for Architecture’s 2018 exhibition, Close to the Edge: The Birth Hip Hop Architecture. “Hip-hop is a cultural movement established by the Black and Latino youth of New York’s South Bronx neighborhood in the early 1970s. Hip-Hop Architecture produces spaces, buildings, and environments that embody the creative energy evident in these means of hip-hop expression. Close to the Edge: The Birth of Hip-Hop Architecture exhibits the work of students, academics, and practitioners at the center of this emerging architectural revolution.